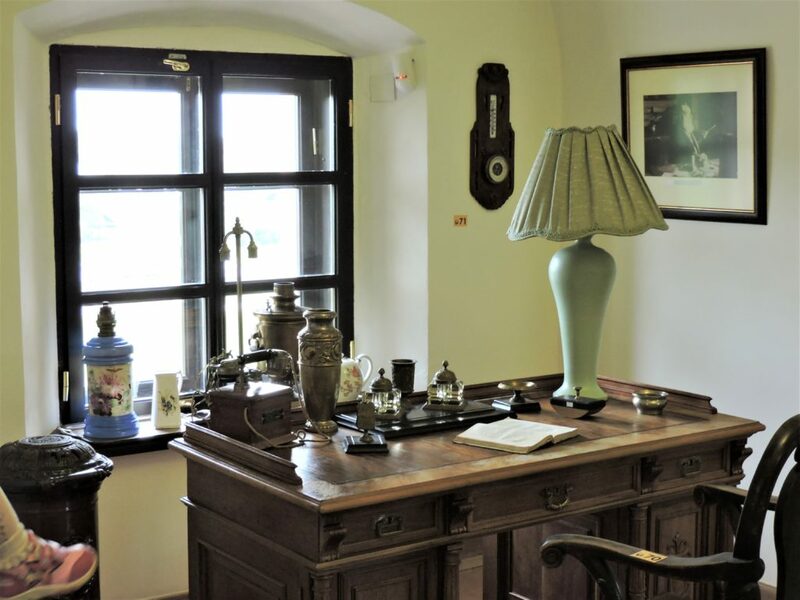 Visiting a castle is almost equal to going back in time and having an unforgettable history lesson about royal families and their lifestyles, wars and truces, astounding architectures and designs. If, on top of that, the castle happened to be a UNESCO World Heritage site, it’s a double win. 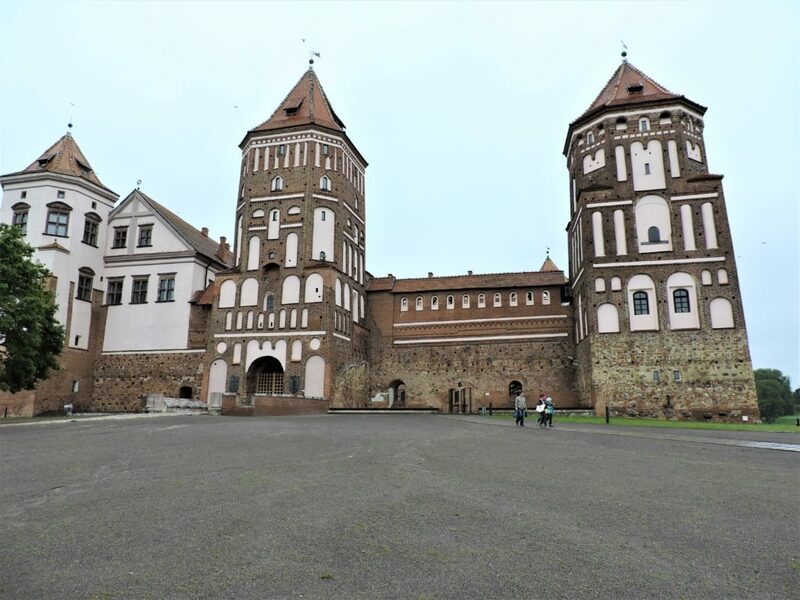 Mir Castle in Belarus is one of those remarkable “double win” castles. 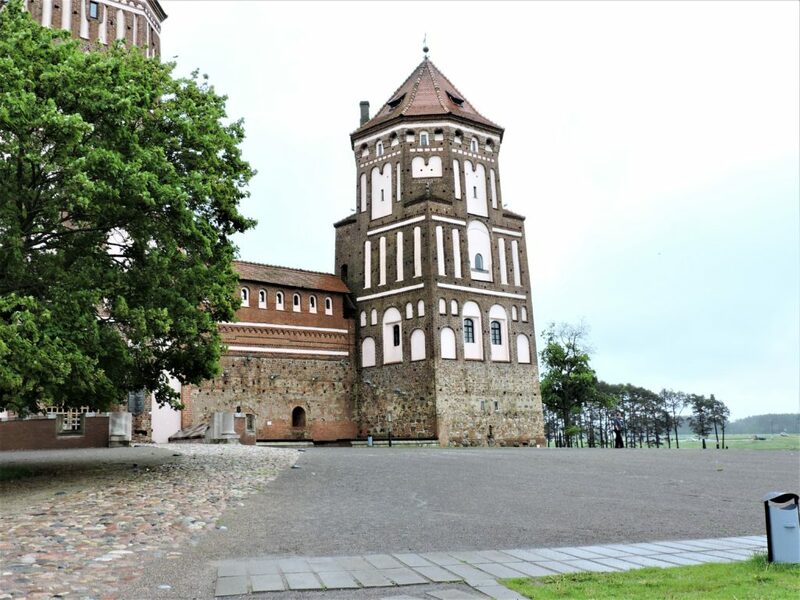 Located in the town of Mir in the Grodno region, the complex is an exceptional example of fortification art. 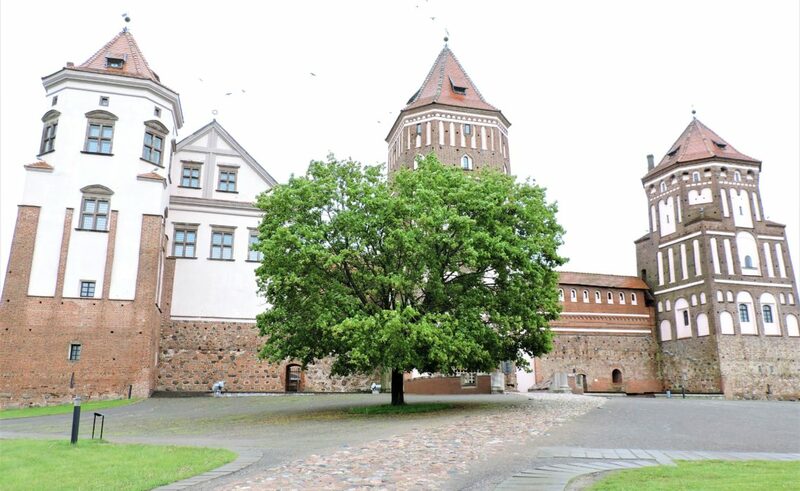 The construction of the castle started in early 16th century by Duke Ilinich. Fond of pointed arches, the duke intended to build the castle in the finest traditions of the Gothic architectural style. After the Ilinish dynasty died out, the castle came into possessin of Mikolay Radzivil who completed the constriction in the Renaissance style. The later fate of the castle was rather tragic. Severally damaged during Napoleonic wars, the property was abundant for nearly a century. In late 19th century the castle was bought by Nikolai Svyatopolk-Mirsky who together with his son restored it to its formal glory. Being a big medieval history enthusiast, I was planning to visit the castle for years. Finally a few years ago I made a commitment to step on the ground of this phenomenal monument. We began our journey early in the morning. The weather was perfect: warm sunny day without any single cloud on the sky. By the time we arrived at our destination, about 2.5 hours later, the weather had changed drastically. It was very windy and drizzling. There was not a single trace of those nice, summary-warm sunrays that we enjoyed earlier in the morning. Unfortunately, this unpredictable weather conditions prevented us from exploring surrounding of the castle including its flowery garden. Nevertheless, we used our time to see as much as possible inside the complex. First of all, we were determined to explore the walls with five towers at the corners that used to be surrounded by a water moat. 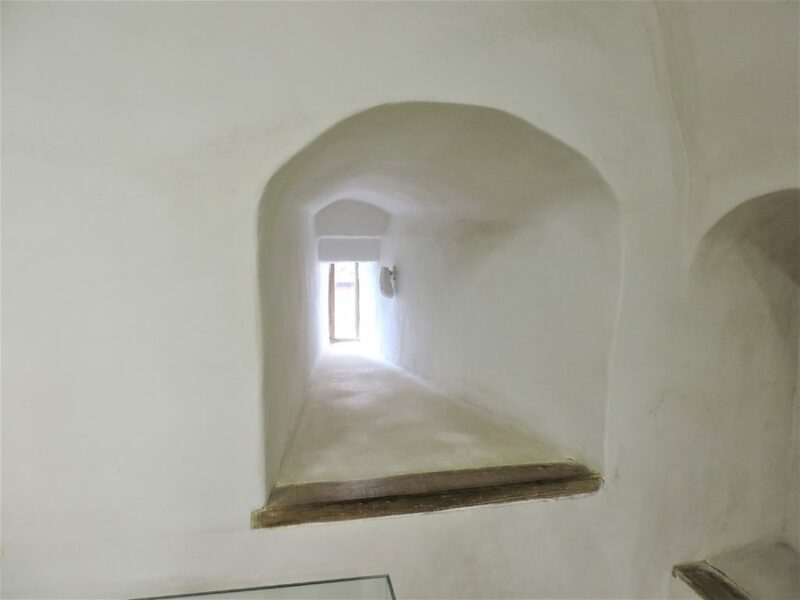 Walking up the stairs of the towers, no one of us had any doubts that these parts of the castle were built to protect the whole complex against any attack of the enemies. The sickness of the walls of the towers reaches up to 1.5 meters (4.9 feet). The stairways themselves deserve special mentioning. The risers of the stairs are very high and uneven. If not for the handrails built for convenience of the visitors of the castle it would be almost impossible to climb up. Apparently in former times, only warriors were allowed in the towers. 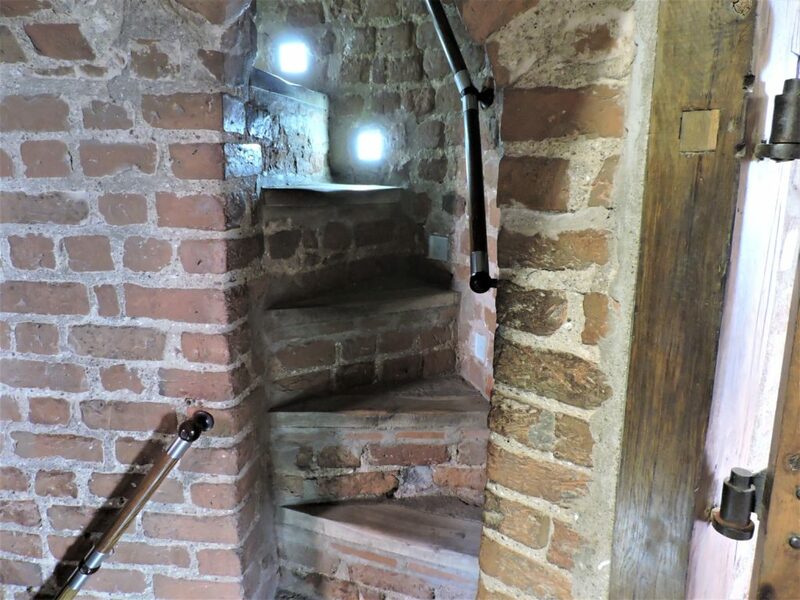 Ladies with their medieval dresses and gowns couldn’t possibly walk up these stairs. Next on our agenda was the palace. The three-story building fortified by the outer walls is equally impressive. Unique pieces of furniture, tapestries, clothes and weapons can be found among castle exhibits. 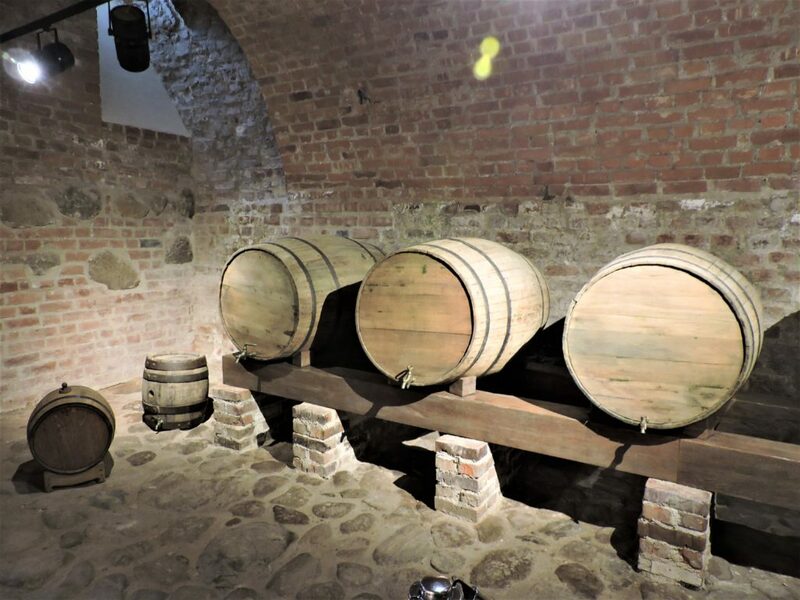 We started with the basement that supposedly was used as wine cellar and storage for vegetables and fruits gown in a nearby village; and slowly moved to the upper floors feature dining room, offices, bedrooms and what it looks like a ballroom. 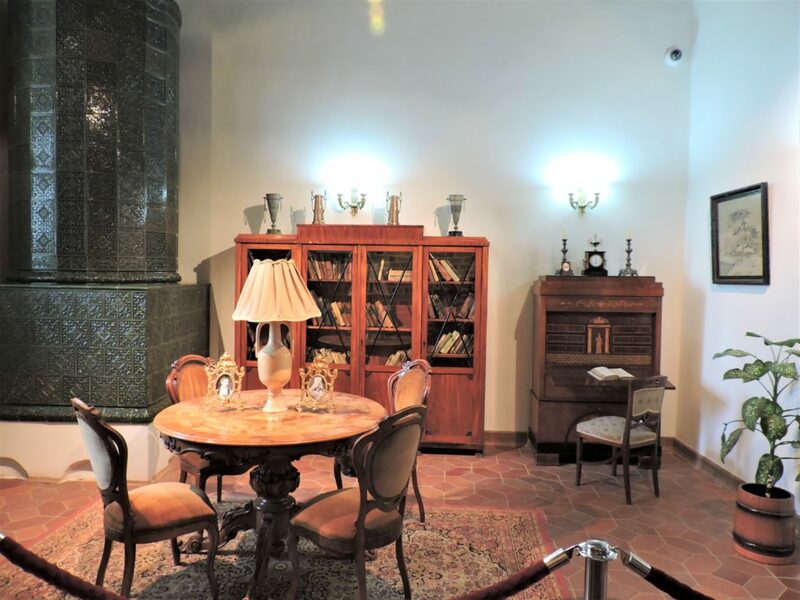 Focusing on tourists, the administration of the castle converted one of the rooms on the first floor into a small restaurant. 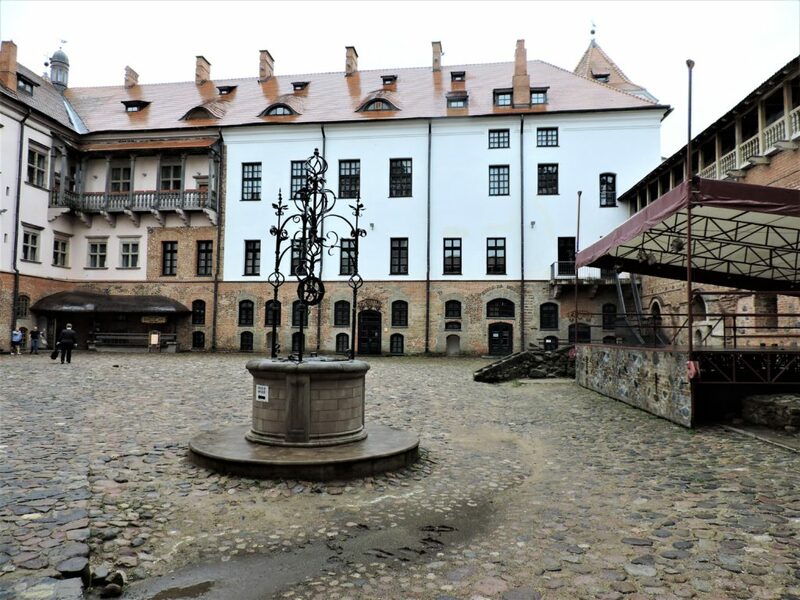 The moment I walked in there, I felt like I was somewhere in Poland, which might not come as a surprise considering that from 1921 to 1939 the castle belonged to the territory of Poland. 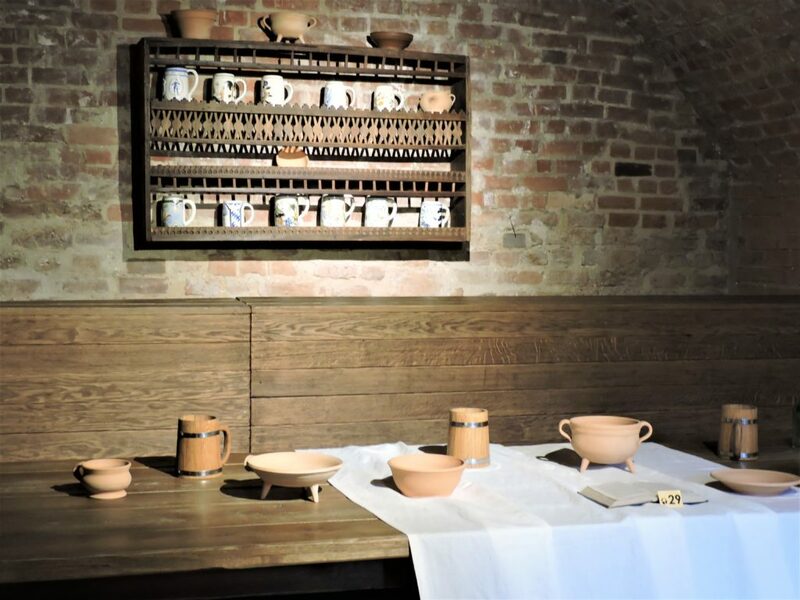 The charming restaurant with dim light instantly makes you feel like you went back in time and became a maker rather than a mere observer of the history. The food was a bit pricey. So if you have a chance, try to bring your own lunch or snack. I personally opted for hot tea and desert to keep myself warm. Soon after we were done with our meal, we had to hit the road again and go back. All in all it was a great day exploring Mir Castle, little bit unpredictable thanks to the weather. But things not always happen according to our plan. Rather than that, I would definitely recommend this place to anyone visiting Belarus. I am certainly happy that I took time to explore the castle. Have you visited any castle? What is your favorite? Please share in the comments below. I love visiting castles but it’s so hard to choose a favorite! Probably I’d choose one in Germany or Scotland though if I had to. You are right, Kirsten. It’s hard to find the most beautiful castle in the world. I love the castles for their historical values. Each wall of them is full of mysteries, laughter and sometimes tears.